Providing quality, innovation, and reliability since 1995, MacroTrenz Corp. specializes in helping customers use and manage data. Core SQL Server and Azure SQL Database products and services are what we do. Professional SQL Server Architecture, Design, Development and Administration. 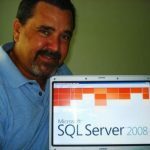 Deep SQL Server TSQL and .NET SQLCLR C# coding for complex projects (finance, math, science, etc.) and high performance requirements. SSIS/DTS and Custom Workflow Applications built to your specs. SSRS and Custom Reporting Applications built to your specs. ASP.NET web data applications and Web Services. C++, C#, F#, and Java data applications. Azure SQL Database development and administration. Reliability … in addition to up time, accuracy and completeness are especially relevant also. Performance … along with load time, data must be delivered in a final usable form. Maintainability … most of all avoid backing yourself into a corner with code leaving no flexibility to move forward in the future. On site with all expense paid travel. Retained Contracts, Direct/Exclusive Clients Preferred. Contingency Contracts should expect no response. Phone Call by Appointment Only: Please email job description with rate for immediate response. Cold calls should expect no response. LinkedIn Invitations without stating a specific business purpose should expect no response.